That is some excellent work on those pipes Vaughn! How did you bend them so neatly and accurately? Like I said, a pair of small round nose pliers. I sat down and worked at using them. 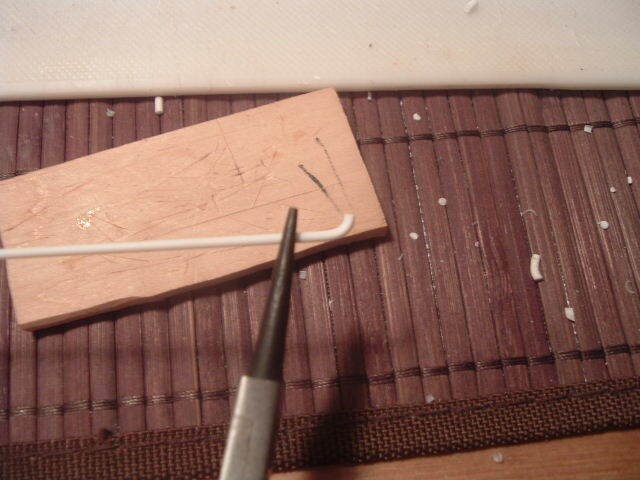 I found that the pressure of holding the rod as I bent it around the pliers pressed grooves into the rod so I bent it almost 180 degrees and cut off the excess. 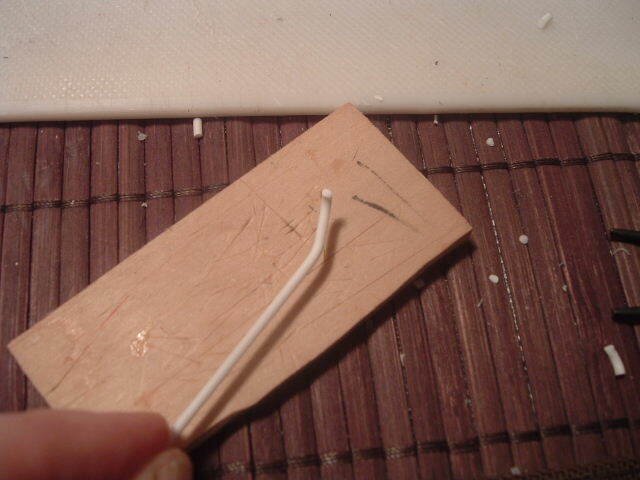 A very small bend part way down at 90 degrees to the first bend, trimmed on an angle and then trim to fit. Each pipe is slightly different but very close in shape and size. The evergreen rod is very soft and tends not to spring back too fast or hard. I used super glue as I was working fast. I wanted them set quickly so if they tried to spring back they'd be held in place securely. I rounded the underside of the 21st C. exhaust pipe and looking at the pipe and the pic (see link two or three posts back) I noticed the little nobs on the side. 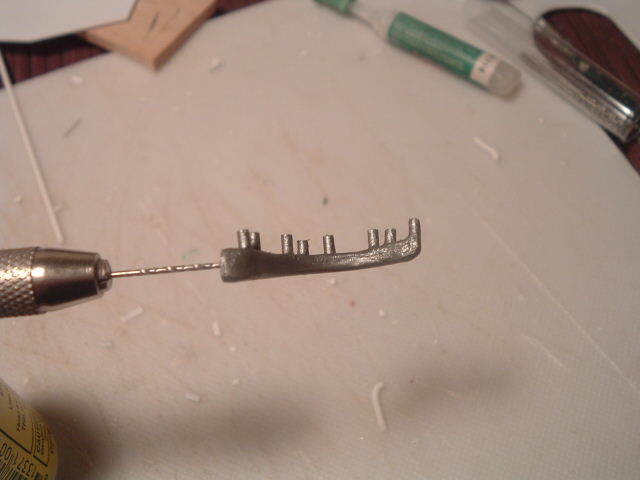 These were obviously pipes so I glued sections of rod on. Fitting the pipe to the engine everything was pretty much lined up, just needed to trim the little pipes going to the engine and the face of the end of the exhaust pipe so it would match the angle of the cowl. From the side it looks good as well and is covered by the cowl flaps. I think This just might work ! 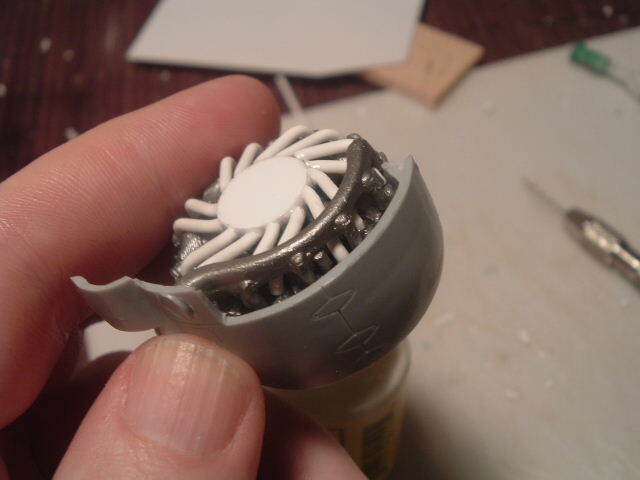 In answer to Kev's question, here are a few pics to show how I made the tubes. 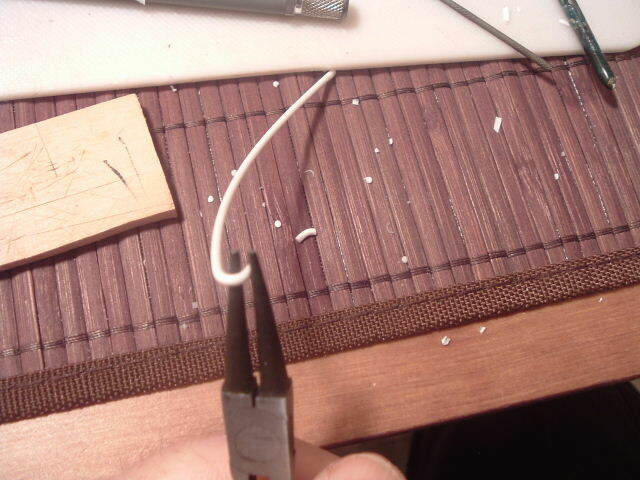 1/16th rod bent around small round nose pliers. 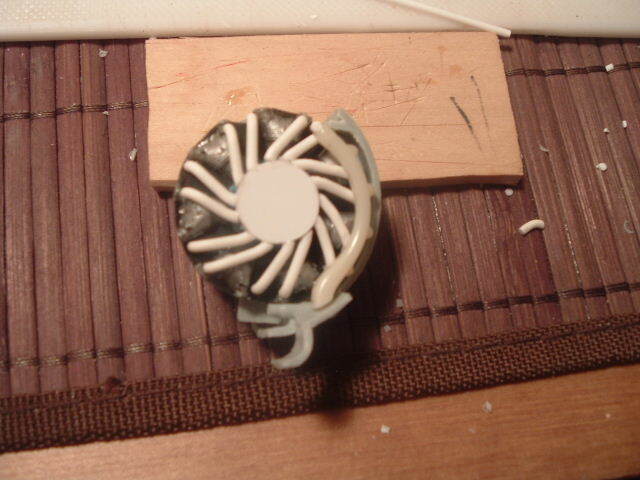 Go almost 180 degrees as it will spring back some and you will dent the rod so that section will have to be cut off. 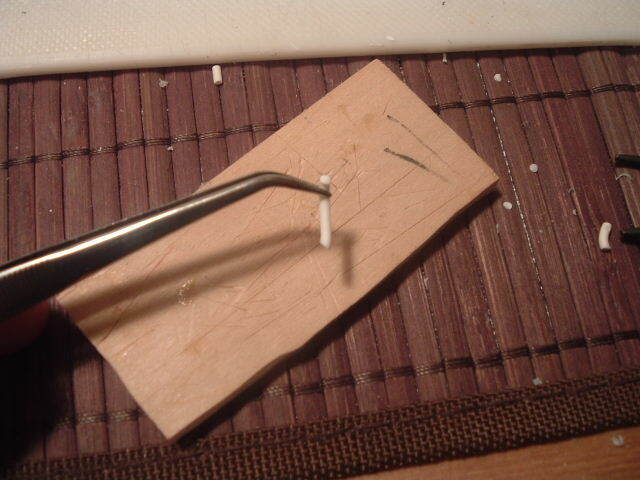 Cut off the excess and position the pliers part way down the pipe to bend it 90 degrees to the first bend.. no pressure, just hold lightly and bend. 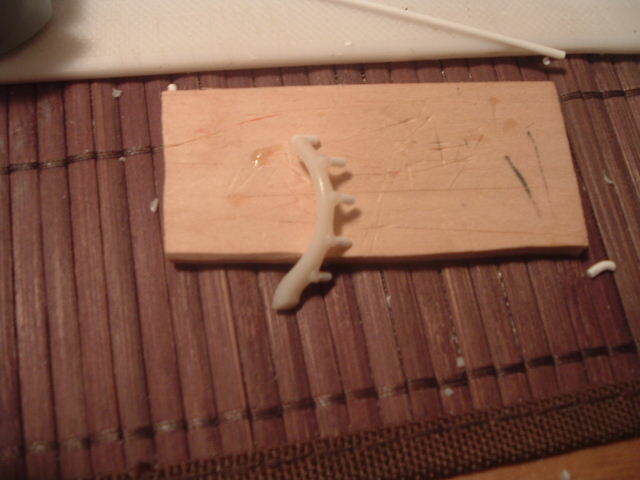 Cut it on an angle to fit where it will be glued on and you are ready to put the part on. 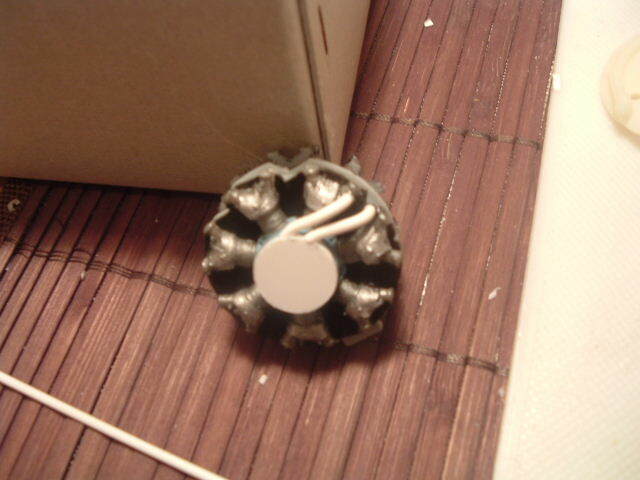 The finished part in place. Very nice work Vaughn, and great tip too! Thanks for the tutorial Vaughn, really helpful. You've gone great work here and it's quite inspirational! Thanks guys glad I can be inspiring. 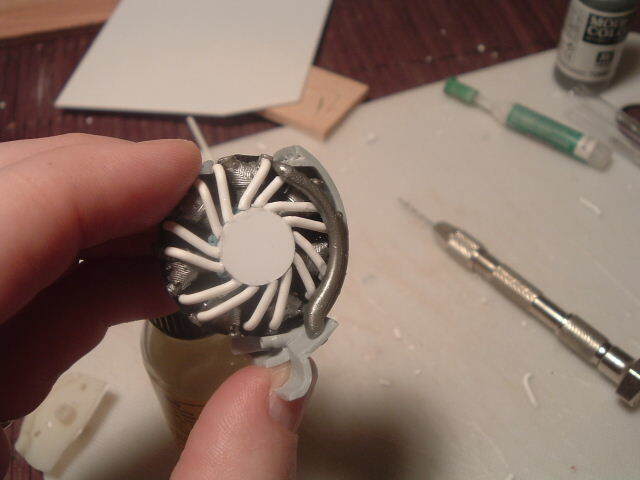 I'm kinda inspiring myself as this comes together, 'caus i'm totally winging some of this. 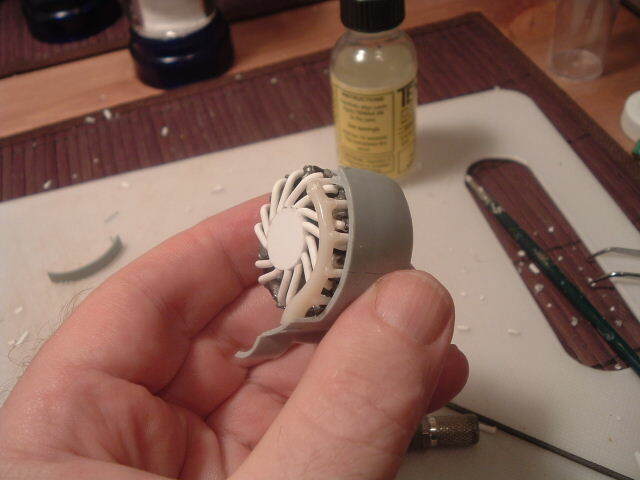 I glued the short stacks on, added a bit of sheet shim to the end where it meets the cowl. A bit of paint slapped on and positioned it looks pretty good.